Regardless of how you find a nanny candidate or how often they will be caring for your children, it is essential to thoroughly screen all potential providers. While many potential employers will run background checks on potential nannies, they may be tempted to skip or rush through another critical step in the screening process - checking references. 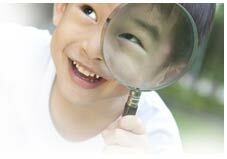 If you are hiring your nanny through a nanny agency, there may be someone in place who will check them on your behalf. Such a person will be experienced and skilled in checking references and will be able to identify a fake reference and read between the lines when it comes to what a reference says and what they truly mean. 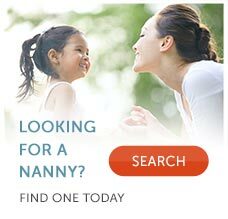 However, nanny agencies can be expensive, and for parents who want to be hands on in their nanny selection process, an online nanny site may be the best option. If you are going to screen your nanny without the assistance of a skilled professional, it is important that you have the proper mindset and tools needed to conduct a thorough screening. When checking references, it is important to not only listen to what the references say, but to pay attention to what they do not say. Unlike other types of jobs, where someone serving as a reference is limited legally to what he or she can say about the person, those serving as references for nannies may be more forthcoming with information, both good and bad. When you make the initial reference call, trust your instincts and listen closely to everything the nanny reference says. Most likely when you are checking references, you will be speaking to a parent just like you who understands that the person you select will be caring for your children in an unsupervised environment. Don't be afraid to ask a lot of questions. Ask about the nanny's demeanor and credentials, but also ask questions about how the nanny related to the family for whom she worked. When you know the ages of the children the nanny previously cared for, for example, you can delve deeper into the nanny's behavior in situations that most closely resemble those she may encounter with your own family. You'll also want to pay attention to the tone and demeanor of the reference. If the reference speaks about the nanny in an excited and enthusiastic tone, it could indicate that she was truly pleased with the nanny and her performance, The reference may also come across rushed or distracted, and you should factor that into how you feel about the reference interview as well. Was the nanny reliable and dependable? Can you give me an example of when she was? Can you give me an example of when she was not? What was she like as a person? Was she warm, strict, upbeat, or energetic? Did she get along well with all members of your family? What additional duties did she perform for your family? How well did she do these? How comfortable did you feel about her ability to handle an emergency? Did she ever have to react quickly to a medical problem or other issue? How did that go? Do you recommend that I hire this person to be a nanny for my children? Would you hire her again? Before you begin checking references, consider jotting down questions that relate to specific duties or responsibilities you would be asking your nanny to do. For example, if you have a family pet, ask the reference how the nanny was around animals. If your nanny will be transporting your children to and from school, ask about the nanny's driving abilities and find out if she was punctual for school drop-offs and pickups. If you are working with a brick-and-mortar nanny agency, they should be able to give you other tips about what to ask a reference. If you are working with online nanny services, you may have access to helpful worksheets that list additional questions to ask a nanny reference. Nannies with little or no prior experience may list friends or family members as prior employers. Beware of phony references. While it can be hard to recognize a fake nanny reference, during the reference interview you may see red flags. For example, consider if the salary listed for the prior employer is around the going rate for nannies with comparable experience and education in your area. If it is much too high, you could possibly be looking at a fake reference. In addition, when you are checking references, listen to how the nanny is described. There is a difference between an enthusiastic mother who loved the nanny and who ended the relationship only when her care giving needs changed, and a friend posing as a nanny reference who sounds like she is trying to sell the nanny as a perfect candidate. When a family is searching for a nanny, particularly if there are time constraints on the search, it may be tempting to skip checking references and rely solely on good feelings you may have about a candidate. Do not fall into this trap. Checking references is a critical step in the screening process. References can give you insight into the nanny's personality, work ethic, good qualities and bad ones that you would not gain from a written application or interview with the nanny. When screening nannies, the bottom line is to make sure you set aside time to call everyone the nanny lists as a reference on her application. While no screening step is foolproof, checking references will help you gather important information you can use to make an educated and informed hiring decision. Ken Myers is the president of eNannySource, an online nanny agency that brings together families and nannies. Lampert previously ran a successful, award-winning nanny agency in a major city for over 10 years, during which time he worked with thousands of families and nanny candidates. Through this experience, he became familiar with the important steps in a nanny search, which he continues to apply to his business today. To learn more, please visit www.enannysource.com.